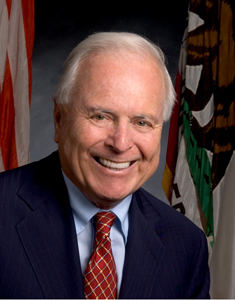 A well established and highly respected attorney, entrepreneur, and philanthropist before entering public service, Mr. Riordan was elected Mayor of Los Angeles in 1993 and reelected by an overwhelming margin four years later, with more than 60 percent of the voters supporting his efforts to improve public safety, create quality jobs, and reform Los Angeles’ public schools. Believing that government fails when communities fail to take their own initiative, Riordan empowered residents to take responsibility for the well being of their neighborhoods and called for the creation of a citywide system of neighborhood councils that give community organizations a greater voice in city government. The focus of Riordan’s first mayoral term was improving public safety, creating quality jobs, making government more efficient, rebuilding the city’s neighborhoods, and bringing overdue reform to the city’s public school system. His reform agenda extended far beyond city government into Los Angeles’ classrooms. He challenged the stagnant bureaucracy of the Los Angeles Unified School District, demanding a better quality of education for the children of Los Angeles. Though Riordan had no jurisdiction over the LAUSD, he led the effort to elect seven reform candidates to the LAUSD School Board -- each one dedicated to improving Los Angeles’ ailing public schools. Riordan was also a founding member of the nationally-acclaimed LEARN school reform effort, and a founding board member for L.A.’s BEST (Better Educated Students for Tomorrow), an innovative and nationally recognized after-school program serving thousands of children in Los Angeles’ disadvantaged neighborhoods. In 1981, Riordan created the charitable foundation that bears his name with one goal in mind: to teach children how to read and write. Through its signature" Rx for Reading" program, The Riordan Foundation has distributed some 25,520 computers to 2,140 schools in 40 states and enabled the purchase of over 172,000 books for elementary classroom libraries. For children with limited access to books, Riordan created the Recreational Reading Mini-Grant Program” that awards $1,000 grants to teachers to help them create a library inside their classrooms. Since 1993, this program has donated over $2 million in book grants serving more than 43,700 children in grades K-5. Riordan also launched "Read to Me", a citywide reading program that encourages parents and caregivers to begin reading to their children at an early age. In addition to Riordan's education work for young students, he co-founded The Riordan Programs at The Anderson School at UCLA with Professor William Ouchi, The Riordan Programs consist of The Riordan Scholars Program and The Riordan Fellows Program, serving high school students and college students/recent college alumni respectively. 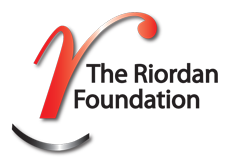 Program participants are taught by Anderson School faculty and mentored by Anderson MBA students. Riordan's appointment as Secretary for Education in 2003 was a natural extension of his civic activism that began well before his entry to public service. Currently, he serves on the board of the Alliance for College Ready Public Schools and Inner City Education Foundation. In his free time, Riordan is an ardent reader and an avid bicyclist.